Petroleum Minister Dharmendra Pradhan will leave on Monday for a three-day visit to Japan where he will also sign an agreement with the island nation to cooperate in jointly developing a “liquid and flexible global LNG market” sharing technical knowhow in the area, an official said on Sunday. “The visit is important to enhance the bilateral engagements in the oil and gas sectors within the overall framework of India-Japan Energy Dialogue,” said a Petroleum Ministry statement here. 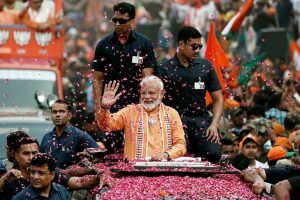 The Indian minister’s visit will also serve as a follow-up to Japanese Prime Minister Shinzo Abe’s visit to India in September, it said. Pradhan will be in Japan from October 16-18 also to participate in the 6th Annual LNG (liquefied natural gas) Producers Consumer Conference, it added. “The visit also aims to enhance cooperation in establishing a transparent, efficient, truly global and balanced LNG market,” it said. “The conference provides the right opportunity to brief on the Indian gas sector and the recent policy reforms with the opportunities available for investment to the Ministers and leaders of global gas industry,” it added. Pradhan will deliver the keynote address at the Ministerial Session on “Developing LNG Market in Asia – Government Perspectives”. Energy Ministers from Qatar, Nigeria, Bangladesh and Japan besides leading hydrocarbon experts are scheduled to take part in the LNG conference. Pradhan will also meet Japan’s Minister of Economy, Trade and Industry Hiroshige Seko to discuss bilateral engagement in the hydrocarbon sector, the statement said. Earlier this week, in yet another move to boost natural gas use in India, the Union Cabinet here approved signing of an agreement with Japan towards joint development of a liquid and flexible LNG market and sharing technical knowhow in the area. “The Memorandum of Cooperation (MoC) between India and Japan provides a framework to cooperate in facilitating flexibility in LNG contracts, abolition of Destination Restriction Clause and also explore possibilities of cooperation in establishing reliable LNG spot price indices reflecting true LNG demand and supply,” a Petroleum Ministry release said. 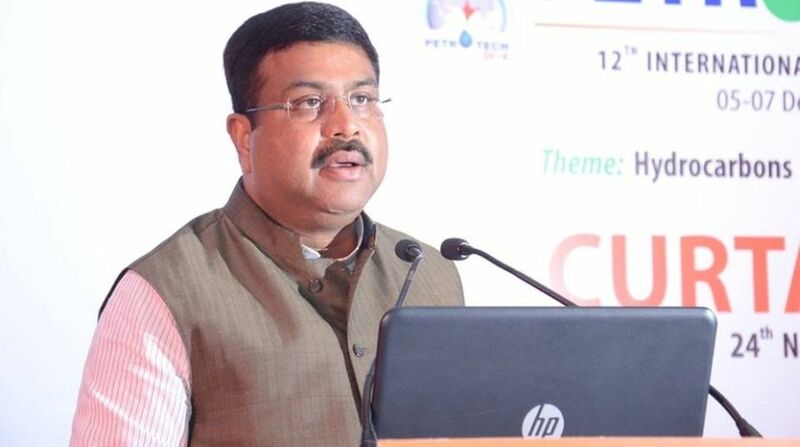 Briefing reporters here after the cabinet meeting, Pradhan said the MoC would have a “shopping clause” that would allow the parties to swap supply contracts in order to save on transporting liquefied natural gas (LNG) from overseas. “For example, we have some gas booked from Australia and Japan has an import contract with Ras Gas of Qatar… this MoC will have a shopping clause whereby we can arrange for Japan to import from Australia, which is nearer, while India gets that gas from Qatar,” he said. “The agreement also provides for sharing knowledge on LNG technology between India and Japan, which is the world’s largest importer of this clean fuel,” he added. “The MoC will promote the bilateral relationship between India and Japan in the energy sector and will contribute to the diversification of gas supplies for India,” the statement said. During his visit, Pradhan will also meet representatives of Japanese companies, including Osaka Gas, Mitsui OSK Lines (MOL), Japex, and JERA for exploring areas of further engagement with the Indian companies, it added.